The 2015 Grammy nominations are still rolling in, but one thing is already crystal clear: Beyoncé is now the most Grammy-nominated female artist of all time. 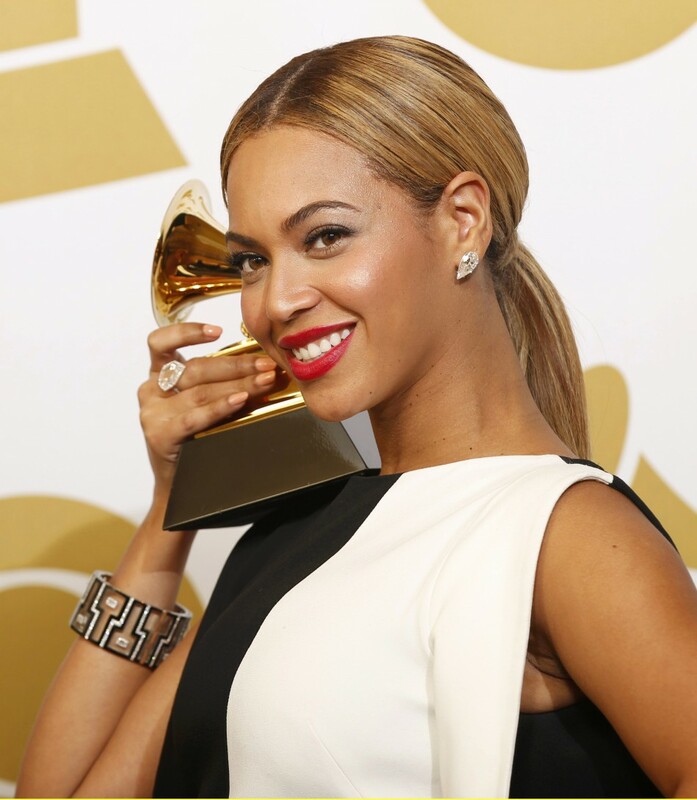 This morning, Beyoncé earned her 47th Grammy nomination for Best Urban Contemporary (for her self-titled fifth album). Previously, at 46 nominations, Beyoncé was tied with Dolly Parton. But Bey didn’t stop there: she earned another four nominations — and she could still be nominated for another in the Album of the Year category — for a grand career total of 51 Grammy nods. Of her previous 46 nominations, Beyoncé has won 17. Parton has won 7. Classical conductor Sir Goerg Solti holds the record with 31 Grammy wins. Other artists with more Grammy wins than Beyoncé include Alison Krause (27 wins), U2 (22 wins), Stevie Wonder (22 wins), and Kanye West (21 wins). Still, Beyoncé is still young and could overtake them all. And something tells us that she just might do that! This entry was posted on Friday, December 5th, 2014 at 9:08 pm	and is filed under Music. You can follow any responses to this entry through the RSS 2.0 feed. You can leave a response, or trackback from your own site.